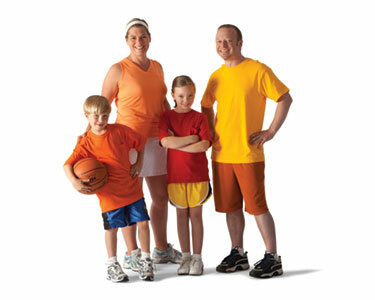 The Mayfield Graves County YMCA is the only YMCA in Western Kentucky, west of Kentucky Lake and Lake Barkley. We are blessed to have a beautiful facility and offer many amenaties to our community including an indoor pool, large areobics room, wide range of free weights, weight machines and cardio equipment. We have a conference room that can be rented for birthday parties, baby showers and community meetings. The Y is located in front of Kess Creek Park which has a great walking trail that can be accessed right outside our back door! The Y houses an indoor theraputic pool that is kept at 88 degrees. We offer many water aerobics classes including Aqua Zumba! The pool is open for swimming lessons and leisurly swim seven days a week with a lifeguard on duty when the pool is open. We also have a hot tub on hand to help with aching muscles. Children under 5 must have an adult in the pool when swimming, children under 5 - 8 must have an adult on the pool deck and those 9 - 16 must have an adult in the building. Our gym area has free weights from 5lbs. to 125lbs. and equipment ranging from squat racks to a leg press. We have over 20 weight machines to work each area of the body and a cardio section that includes treamills, elipticles and cycles. Our on-site personal trainers would be happy to show you how to use each piece of equipment to get the best workout you can! Many years ago with the help and partnership from the YMCA, the city of Mayfield created Kess Creek Park behind the YMCA. It is a great place to take the family or go for a run. It has two large play areas, a walking track that totals 1.3 miles, a basketball court, picnic areas and will soon house a splash park and mini golf course.